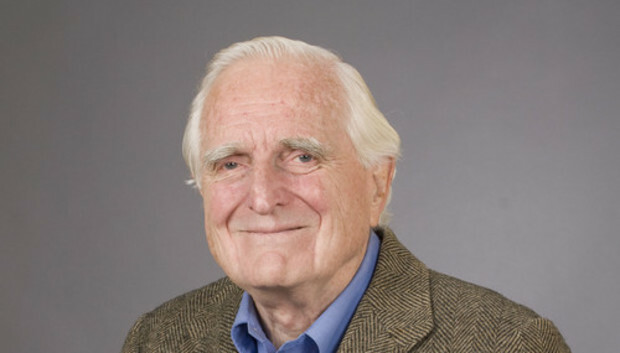 Douglas Engelbart, a Silicon Valley engineer who invented the computer mouse and is credited with many of the concepts that underpin modern computing and the Internet, died on Tuesday at his home in Atherton, California. He was 88. Born in 1925, Engelbart was coming of age as World War II raged in Europe. He joined the U.S. Navy as an electronic and radar technician, and after the war studied electrical engineering at Oregon State University. He went on to complete a master's degree and Ph.D. at the University of California at Berkeley, where he was also an assistant professor. About a year later, in 1957, he joined the Stanford Research Institute (today called SRI International), which was just over a decade old. From 1959 until 1977 he led the organization's Augmentation Research Center, and in 1963 came up with the concept of the computer mouse. The mouse would go on to revolutionize personal computing, but the public didn't get their first look at it until several years later. In a presentation at the Fall Joint Computer Conference in San Francisco on Dec. 9, 1968, he introduced the concepts of hypertext linking, real-time text editing, the use of multiple windows, and teleconferencing. He also showed a set of three devices that worked together to control a computer. "We have a pointing device called a mouse, a standard keyboard and a special key set," he told the audience. The demonstration can be seen in archive footage on YouTube. In a world of mainframe computers controlled by keyboards, the mouse was a new idea. "I don't know why we call it a mouse. Sometimes I apologize. It started that way and we never did change it," he said, explaining the name to his audience. A year later, the Augmentation Research Center underscored its importance in computing by becoming the second node of the ARPANET, the predecessor to today's Internet. "Doug was a giant who made the world a much better place and who deeply touched those of us who knew him," Curtis Carlson, president and CEO of SRI, said in a statement. "SRI was very privileged and honored to have him as one of our 'family.' He brought tremendous value to society. We will miss his genius, warmth and charm. Doug's legacy is immense -- anyone in the world who uses a mouse or enjoys the productive benefits of a personal computer is indebted to him." Engelbart received numerous awards for this work through the latter years of his life. They included the National Medal of Technology in 2000, the Lemelson-MIT Prize in 1997 and the Turing Award, also in 1997.